Hear what people are saying about New Planet Beer. And yes, “New Planet Beer really tastes like beer!” We’d love to hear what you think. Send us you review and feel free to include a photo or video testimonial for the website. Be sure to follow us on Facebook and Twitter to get the latest and greatest news and updates. 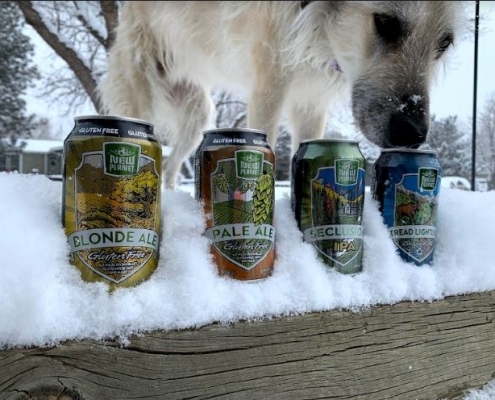 “Absolutely loved the Pale Ale! The worst thing for me about being gluten free is not having an amazing craft beer option. I used to drink a lot of craft beers, like Pale Ales, IPAs, and wheat beers. So when I realized I was gluten intolerant, I’ve been holding on to this hope of having my favorite craft beers again. I’m in Los Angeles and just had my first New Planet Off Grid Pale Ale. All I can say is, OMG! I’ve been gluten free for the last 5 years and it was like a new dawn when I had my first sip. Truly amazing and delicious. I called Bev Mo and held the remaining several 4 packs and will pick them up today. Seriously, it was amazing and I can’t wait to share with several of my friends who are also cursed like me and have to drink gluten free beer. Finally, a GF beer I can share with those who aren’t GF! Please continue to ship your beer to Bev Mo in South Pasadena please. As a celiac, I was blown away by the delicious, subtle sweetness and crisp finish. As an athlete, I knew that I had found my new favorite performance enhancer (beer is a muscle relaxant!). To be serious, a low-inflammation gluten-free diet is extremely advantageous to recovery and performance. With New Planet Beer, and the new friends I have made over a few (or a dozen!) ales, I now know what I will be drinking for the rest of my life. Thanks New Planet! I especially liked that it was such a light tasting beer. Most beer has way too strong of a taste for my liking, but much to my delight, not New Planet’s 3R Raspberry Ale. The flavor of 3R Raspberry Ale is clean and crisp, and when enjoyed on the colder side, this beer is very refreshing, especially in the summer time. It’s fruity without being too fruity. The beer is slightly sweet, as you might expect from a beer with fresh fruit in it. I found 3R Raspberry Ale very refreshing and balanced, with just the right amount of raspberry flavor. 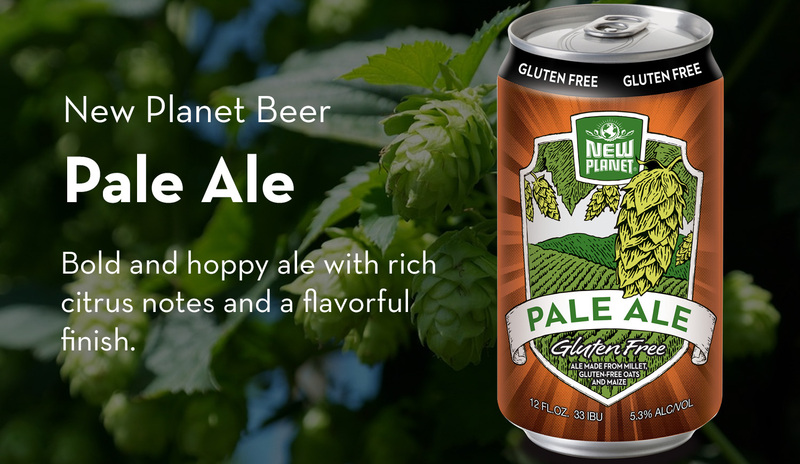 New Planet brews gluten-free beer and fantastic ones at that. Their Tread Lightly Ale was balanced, light, and bright with some crisp green apple notes. I loved it and would drink it regularly, even though I’m not going gluten-free. Out of all the gluten-free beers, New Planet Beer is definitely my favorite and I’m looking forward to their darker beers coming out later. New Planet Beer is fantastic and I’m so excited to see it in a lot of restaurants, a lot of stores and our members are really excited! 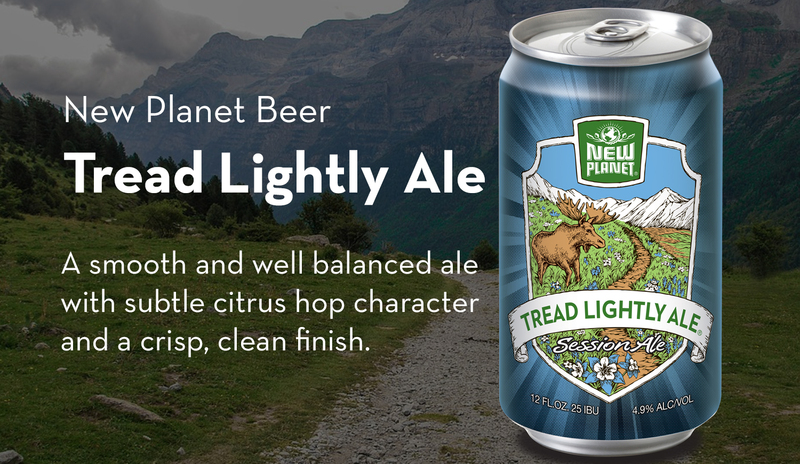 We are now proudly serving New Planet Beer’s Tread Lightly Ale. 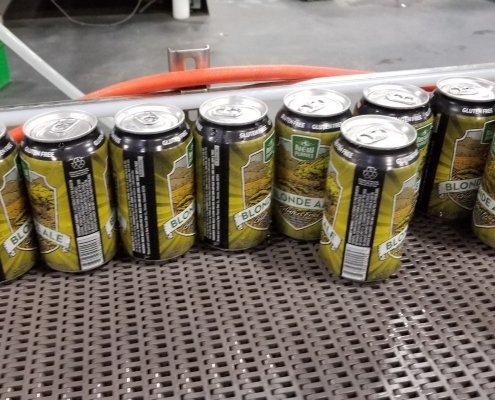 It’s for our customers who actually want their gluten-free beer to have some flavor. Plus you’re supporting a local microbrew. New Planet Beer is so much better than Red Bridge in my opinion- nothing against the company but it leaves an after bitter taste in my mouth- unlike New Planet Beer…..yummy! Back in MN you can’t get New Planet Beer, so when I recently moved to Colorado I fell in love with it— bye bye Red Bridge. Just tried the beer a couple days ago, and we have found a new beer! My boyfriend has ditched New Grist for it, and I’m gonna drink New Planet Beer now instead of Bards! I can’t wait until the 3R Raspberry Ale and other flavors come out! 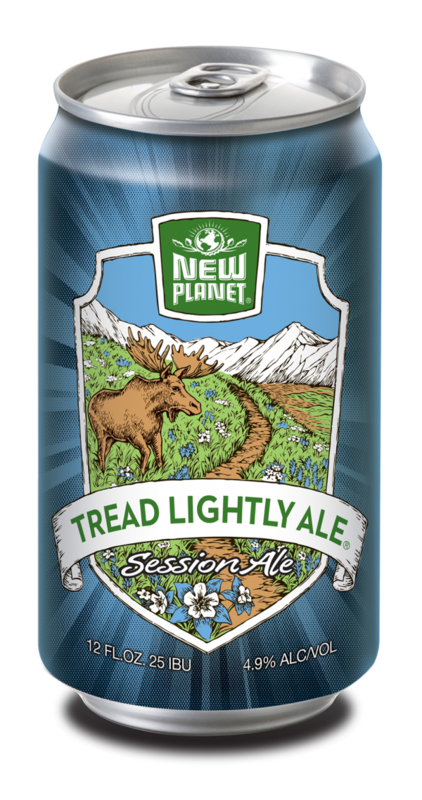 New Planet Beer’s Tread Lightly Ale is fantastic, I had it last night…best gluten-free beer I have tasted yet. Training for Ironman distance triathlons is a major commitment of time and effort. You want to ensure that all that work has its maximum positive effect, and nutrition is a big part of the process. Taking in the right kind of food and beverage helps fuel your workouts and your recovery periods. New Planet Beer has filled a big gap—providing beer that tastes wonderful and avoids gluten that can hamper absorption and impede post-workout recovery. A lot of professional triathletes are moving away from gluten on the precautionary principle, and because they just feel lighter and faster without it. Now they can enjoy the cold one at the end of a hard workout, thanks to New Planet Beer. 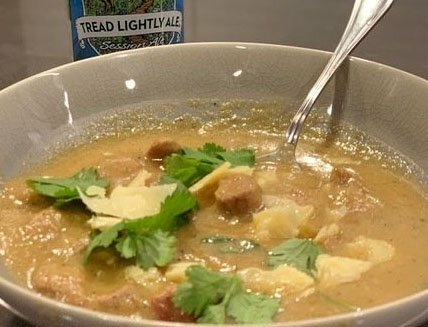 When New Planet’s founder, Pedro Gonzalez, first discovered he was Celiac, he thought his craft beer drinking days were over. What started out as a personal quest quickly turned into the launch of New Planet Brewery. Established in 2009, New Planet headquartered its brewing operations in Boulder, CO. 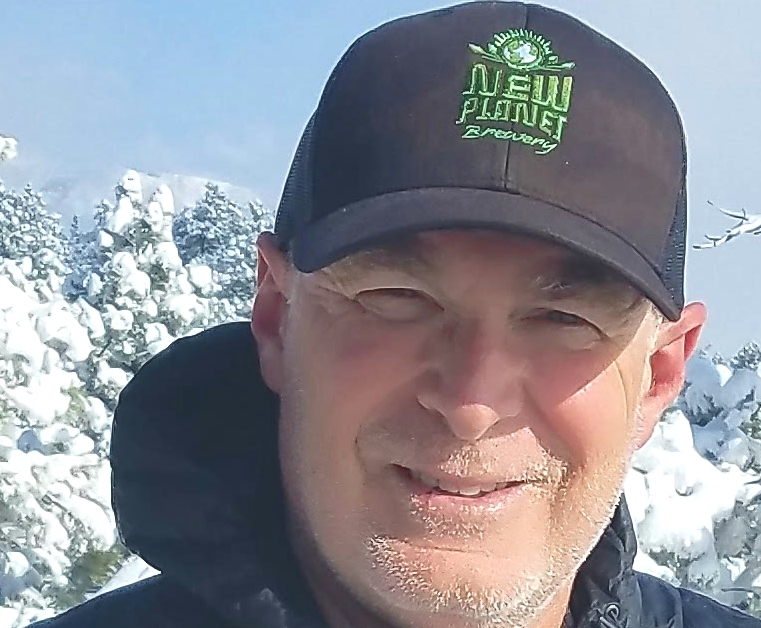 In 2017, New Planet moved its brewing operation to Denver, Colorado to a state-of-the-art brewery. 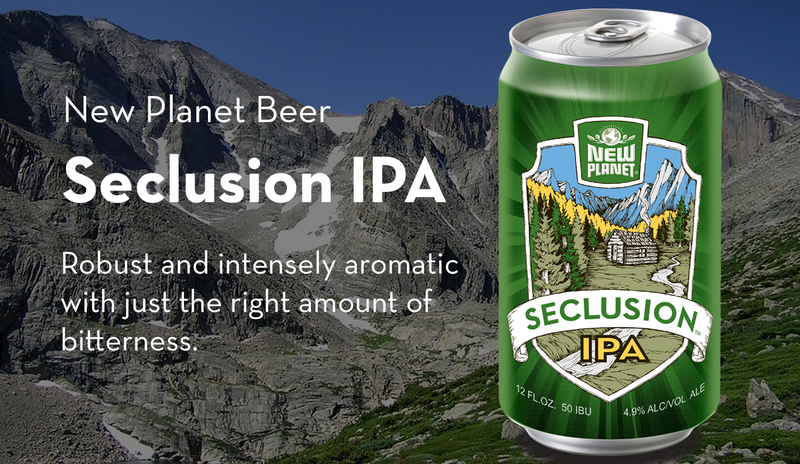 New Planet distinguishes itself in brewing gluten free and crafted to remove gluten beers. That is all we do! This delightfully drinkable ale offers a crisp, yet complex, balance of subtle fruit flavor and aroma with a zesty, citrusy finish. Brewed with natural raspberry puree and orange peel. Food Pairings Best paired with foods driven by herbs and spices, especially fruity elements. Try: light, white meats like chicken or pork, especially when prepared with a fruit glaze; salads with fruit-based dressings; desserts such as chiffon cakes, soufflés, or dark chocolate. Bold and hoppy ale with rich citrus notes and a distinct finish. Full of bold, hoppy flavor, this citrusy Pale Ale is infinitely drinkable and balanced throughout. Brewed with a combination of Cascade and Sterling hops, our Pale Ale is at home at the top of a 14er, at the finish line of your latest triathlon, and your backyard cookout. Enjoy it out straight out of the can or pour it into your favorite pint glass and admire its beautiful copper coloring and inhale the juicy hop aroma. Then, relax in front of a campfire and regale your family and friends with your latest outdoor exploits. Water, millet, gluten-free oats, maize (non-gmo blue corn) cane sugar, hops, and yeast. Bold and hoppy ale with rich citrus notes and a flavorful finish. Food Pairings The hop bitterness contrasts with spicy, smoky, or aromatic flavors. Try: blue cheese, barbeque, seafood, or Asian-spiced dishes. Awards Gold 2011 and 2012 Craft Lager & Small Batch Festival, Gold 2011 LA Intl Beer Competition, Silver 2012 Los Angeles International Commercial Beer Competition, Gold 2013 Denver International Beer Competition, Gold Denver International Beer Competition 2016. 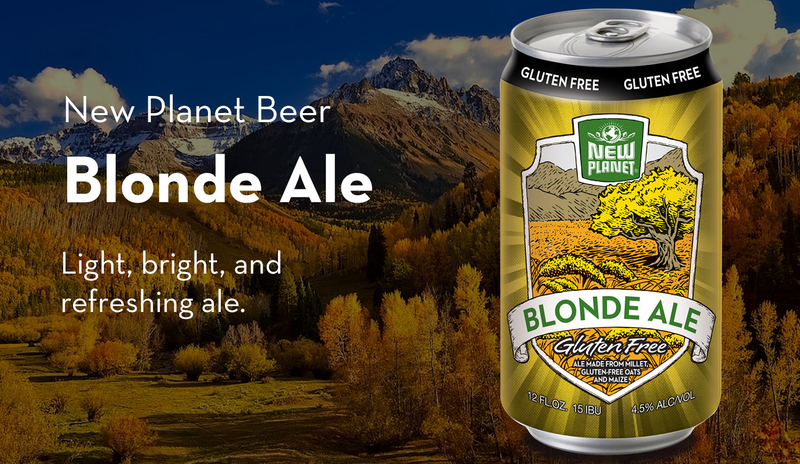 New Planet Brewery brews gluten-free and crafted-to-remove gluten (gluten reduced) beers. That is all we do. Curious about the difference between gluten-free and crafted-to-remove gluten beers? Gluten-free beer is brewed with ingredients that are gluten-free, such as millet, gluten-free oats, corn, cane sugar, and hops (flowers of the hop plant). If you’re not sure if a beer is truly gluten-free or not, know that all gluten-free beer labels must adhere to specific FDA standards. If the label on the beer can or package does not say Gluten Free, then it’s not. Crafted to Remove Gluten is brewed with traditional ingredients such as barley. But at New Planet Brewery we brew the crafted to remove gluten beers with the aim at minimizing the gluten content. We use an enzymatic process and we filter all our beers. All of these beers must adhere to the TTB (Alcohol and Tobacco Tax and Trade Bureau) standards. To obtain a “crafted to remove gluten” label the TTB requires that the beers pass a laboratory test at less than 10 ppm (parts per million) of gluten. Our beers test at less than 5 ppm of gluten.. When choosing a “crafted to remove gluten” beer, be sure to look for the TTB language on the package (the can or bottle) as there are many breweries that claim their beer is crafted to remove gluten despite it never being tested to TTB standards. If the can or package does not have the TTB statement then is probably not crafted to remove gluten. .
To read more in-depth about the difference between gluten free and crafted to remove gluten and how to choose what is best for you—we encourage you to read this article! Please take a look at our beers and ask for them wherever you buy a six pack! New Planet’s 100% Gluten-Free beers are brewed from gluten-free ingredients from start to finish. 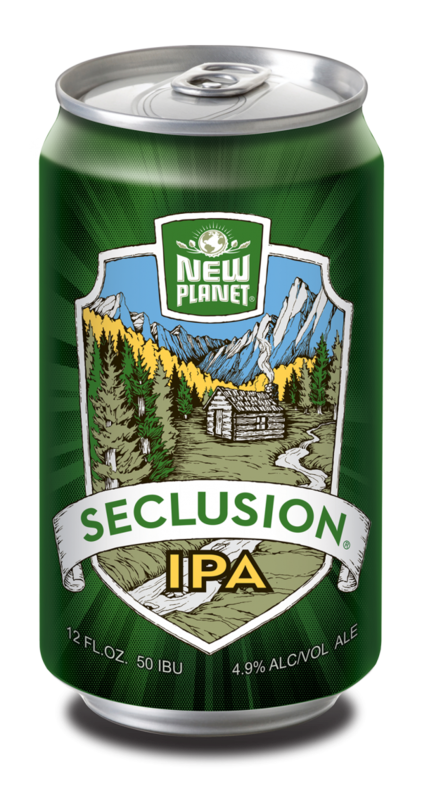 *New Planet Seclusion IPA and Tread Lightly Ale are fermented from grains containing gluten, but undergo a process that is crafted to remove gluten. The gluten content of these products cannot be verified and these products may contain gluten. These beers have been brewed with barley, but have been specially crafted to remove gluten. Please note that these beers were originally brewed from ingredients containing gluten and may still contain trace amounts.